DryPatrol has a long history of excellent service and is our mission to provide the highest satisfaction and quality delivery every time. DryPatrol is fully equipped and ready to help your Pickerington right away. We use state-of-the-art duct vent cleaning equipment and toxic free chemicals, so you can trust that it is safe for you and your family or your business. If you need commercial or residential air duct cleaning services for your home or office, we can help! We make it our standard to be the best in duct cleaning companies throughout Pickerington and the surrounding areas. Why Is Pickerington Air Duct Cleaning Necessary For Your HVAC System? 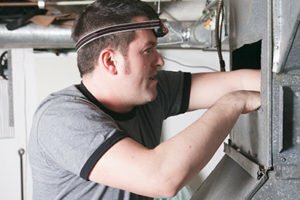 Air duct cleaning is not just duct vent cleaning. In reality, the entire HVAC system should be cleaned. Failure to clean all components of the system can result in decontamination of the entire system all over again. That is why you need a professional Pickerington airduct cleaning company like DryPatrol. The last thing you want is for the contaminants to be spread beyond where they already are. You are trying to eliminate the contaminants, not spread them to other areas of your home. 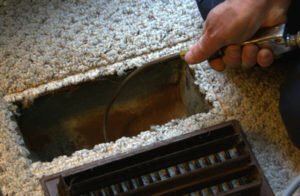 If the Pickerington duct cleaning isn’t done properly under strong negative air pressure (a vacuum), that is exactly what could happen. The problem wont only be alleviated, but you will most likely make it worse. If you’re doing air vent cleaning in Pickerington OH because you need ac duct cleaning to remove the contaminants and improve your indoor air quality (IAQ), make sure to hire an affordable air duct cleaning company who does it right. Dry Patrol provides services throughout Pickerington OH including 43147.